Hi there! I’m a Sewlebrity! 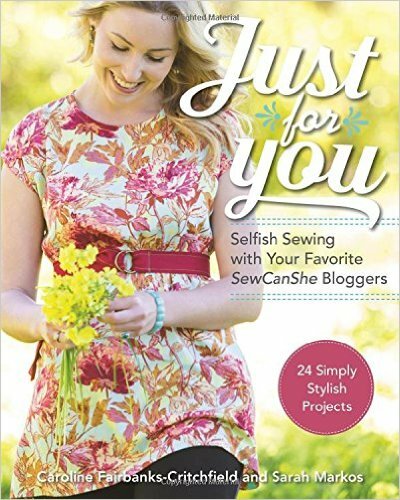 I’m joining in sewing along through a new book, Just For You: Selfish Sewing (affiliate link) written by Caroline of Sew Can She and Sarah Markos of Blue Susan Makes and full of projects created by bloggers. Today, I’m sharing the Pretty Pocket Apron which is and adorable apron pattern with big, deep pockets just perfect for embroidering or carrying all your baking necessities. 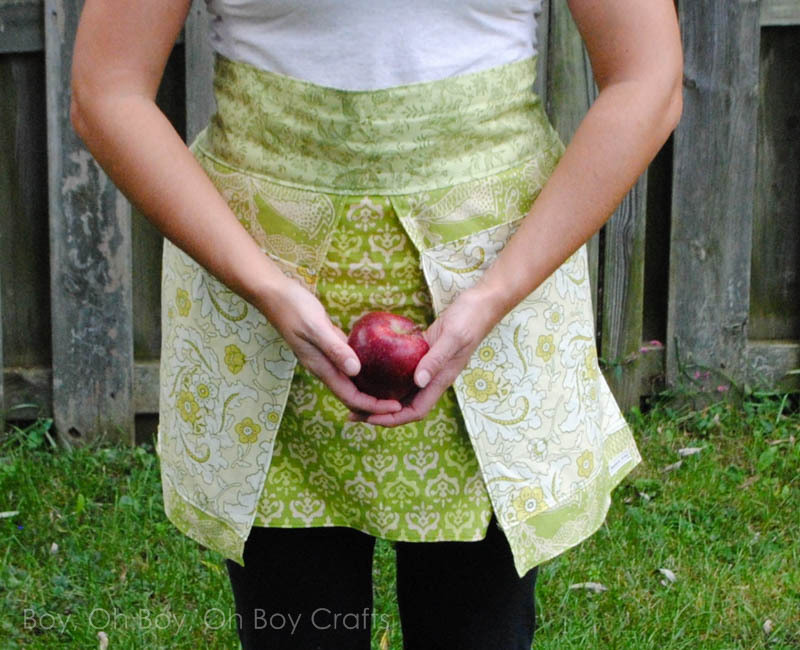 The Pretty Pockets Apron is super quick to sew up and perfect to have ready for fall when all the canning and holiday baking begins. If you’re anything like me, an apron is a must when in the kitchen. 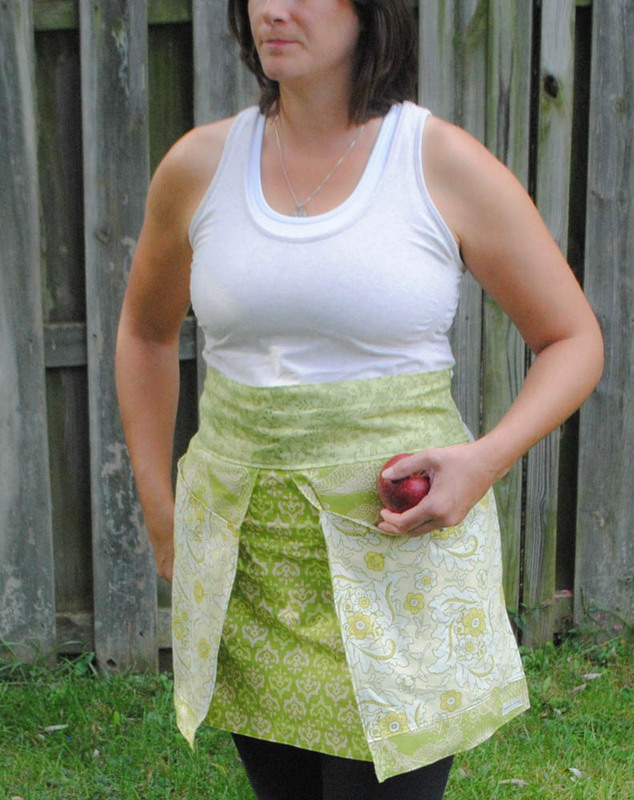 One of the great things about this project is that it only takes 5 fat quarters so it’s perfect for showing off one of your favorite fabric bundles. I love the way the super, deep pockets are designed so you can get maximum use out of them. Since I’m always loosing the tea towel that I’m constantly wiping my hands on while cooking, I’m pretty sure these pocket panels are going to pull double duty. There are so many great projects in this book. I want to sew them all! And while the title says “Just For You”, I think there are many things in this book that would be just perfect for gifts this holiday season. Click on over to the “Look Inside” feature on Amazon.com and take a look at the Table of Contents. Then come back and enter on the Rafflecopter below by telling us which project you’re dying to make. Sorry, U.S. residents only. Giveaway closes Wednesday, October 21, 2015. One lucky winner will be notified by e-mail no later than 10/22. Good luck! 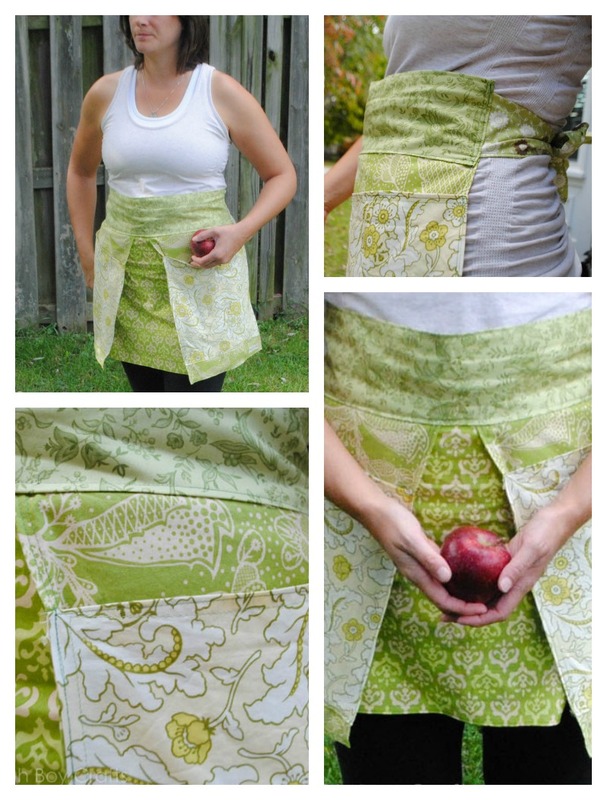 I would love to make the Retro Urban Apron. Thank you for the wonderful giveaway. i want to make the painters bag and the pocket apron. thanks for teasing us with more projects!! Saturday Night Tunic and this apron. Very fun stuff! They are all great in this wonderful book, I would like to make the Foxy Smartphone Cozy. Night Circus Skirt sounds interesting to me. I see other eye-catching titles. I can't pick just one: Chevron Shrug, Vernazza Tee and the apron…..aaahhh!! Cute!! The mini-dresden coin purse is a good start for me. I really like the Chevron Shrug although I like them all. The painters clutch. I have checked this book out from the library, there are a lot of great projects. I hope to add it to my collection soon. They are all sounding good…. bags, totes, and a Saturday night tunic. Love it! From September the Lovely Long Skirt. There are a good many I'd like to make Chevron shrug, Pretty pockets and several of the bags.